At Tuli Safari Lodge in the Northern Tuli Game Reserve, Botswana, it’s often possible to see one of the Big 5 and one of its Little 5 namesakes in the same spot at the same time. 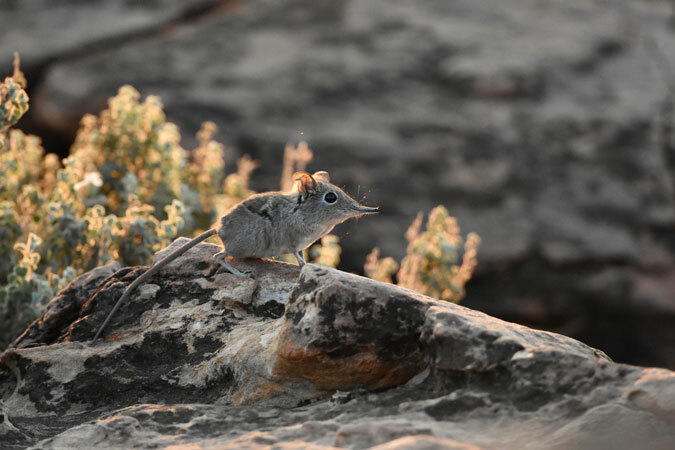 Elephant shrews are maybe the cutest of Africa’s ‘Little 5’ – a phrase coined to encourage interest in the smaller wonders of African wildlife beyond the Big 5 of elephants, lions, leopards, buffaloes and rhinos (other members of the Little 5 are ant lions, leopard tortoises, buffalo weavers and rhino beetles). These small, insect-eating mammals are usually quite shy and not often seen as they’re well camouflaged and very speedy! 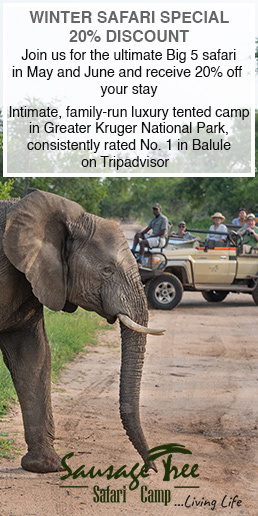 But, they’re a virtually guaranteed sighting at one of Tuli Safari Lodge’s favourite sundowner spots (as explained in this blog), and it’s not uncommon for guests to see a herd of elephants ambling by from the same spot, at the same time. 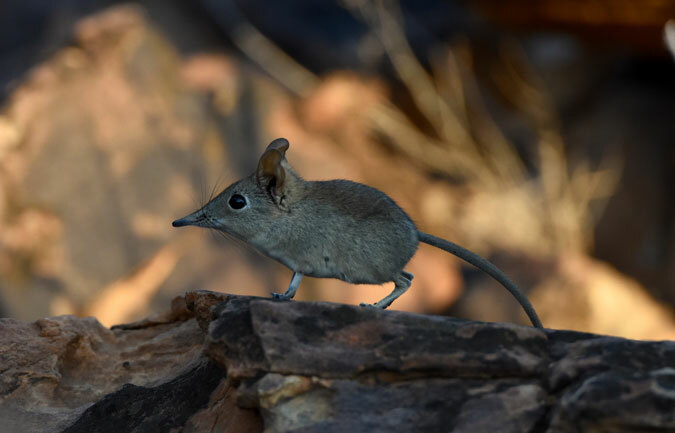 The Tuli shrews – rock elephant Shrews, Elephantulus myurus – like rocky areas so that they can hide from predatory birds and are incredibly nimble and sure-footed as they use their little legs to leap from rock to rock. 1. 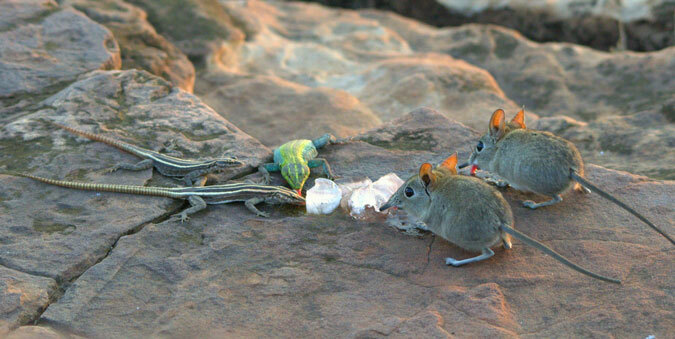 Elephant shrews are only found in Africa, where they are widespread though not particularly common anywhere. 2. They are so-called because of their rather long and flexible noses looking superficially similar to an elephant’s trunk. 3. They’re also known as sengis and aren’t in fact related to shrews at all, but are a species on their own. 4. Females have a similar menstrual cycle to humans, though gestation is only 45-60 days. Litters are quite small with between one and three youngsters. 5. 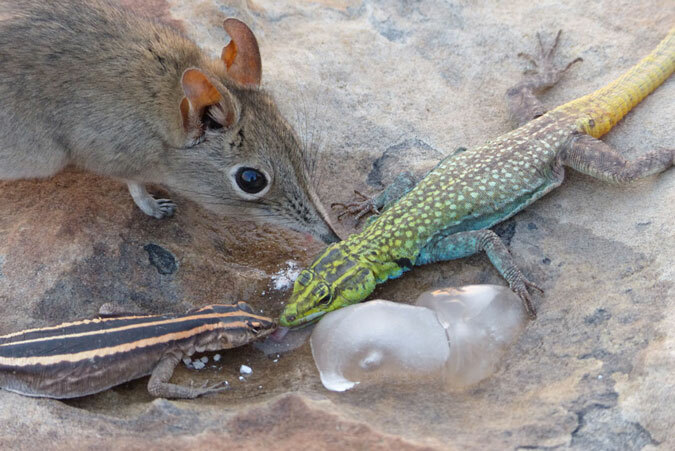 As well as eating invertebrates and sundowner snacks, elephant shrews also eat fruits, seeds and leaves. Females carry food in their cheek pouches when their young are weaned after around five days.